Network devices such as routers and switches forward traffic based on entries in their local forwarding tables. Although these forwarding tables conventionally make decisions based on a packet header field such as a destination address, tagging flows with sets or sequences of attributes and making forwarding decisions based on these attributes can enable richer network policies. For example, devices at the edge of a network could add a tag to each packet that encodes a set of egress locations, a set of host permissions, or a sequence of middleboxes to traverse; simpler devices in the core of the network could then forward packets based on this tag. Unfortunately, naive construction of these tags can create forwarding tables that grow quadratically with the number of elements in the set or sequence—prohibitive for commodity network devices. We present PathSets, a compression algorithm that makes such encodings practical. The algorithm encodes sets or sequences (e.g., middlebox service chains, lists of next-hop network devices) in a compact tag that fits in a small packet-header field. Our evaluation shows that PathSets can encode attribute sets and sequences for large networks using tag widths competitive with existing approaches and that the number of forwarding rules grows linearly with the number of attributes encoded. Bio: Ori Rottenstriech is a postdoctoral research associate at the Department of Computer Science, Princeton University. He received his Ph.D. from the Electrical Engineering department of the Technion, Israel. 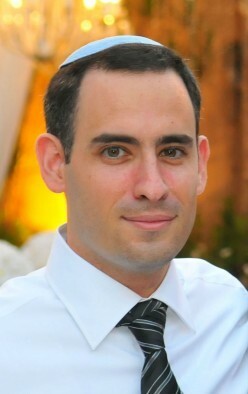 His research interests include the intersection of computer networking and algorithms.